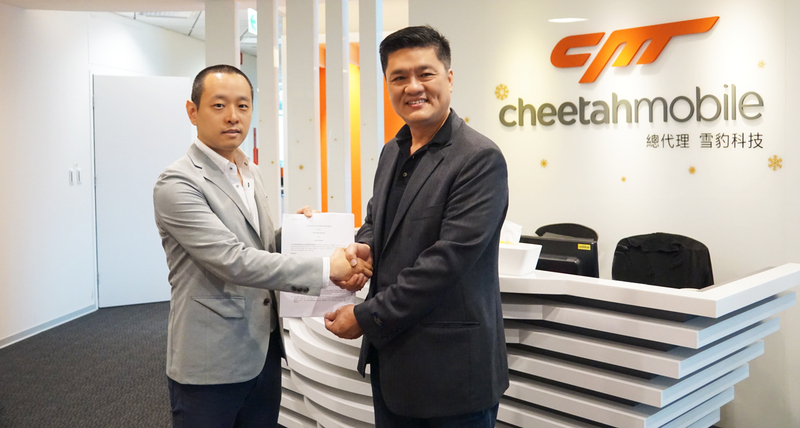 April 28, 2016 – XOX Media Sdn Bhd, the technology arm of the XOX Bhd Group has signed a memorandum of understanding with Taiwan’s Leopard Mobile, a subsidiary of Cheetah Mobile Inc., a company listed on the New York Stock Exchange, a mobile application, advertisement network & games developer/publisher services provider. The parties will devise cross marketing and cross bundling programs where Leopard Mobile will promote and market XOX’s next generation mobile communication solution enabling smartphone users to fully maximize the IP Multimedia Subsystem (IMS) technology, Voopee. This will be done via its various channels and its users, and XOX will market the range of Leopard Mobile products through its channels and subscribers. The parties will form a strategic alliance where XOX will become the strategic partner of Leopard Mobile in Malaysia for the purpose of marketing and promoting Leopard Mobile’s products to the general market by encapsulating these products in XOX’s marketing initiatives and programs. XOX Mobile’s subscriber base of 1.3 million users is expected to be the first cadre to enjoy the potential benefits of this collaboration through the availability of Leopard Mobile applications, games, content and advertisement network that will be available solely through XOX Mobile. According to XOX Bhd’s Group CEO, Mr. Ng Kok Heng, XOX Mobile’s strategy of international collaborations for content and cutting edge mobile services is resonating strongly with the MVNO’s subscriber base of young, technology-savvy, keyed-in to trends, users’ of its pre-paid and post paid services. “Our initial partnership with South Korean brands proved to be a success prompting us to explore more Asian content providers and developers that we could partner with. Taiwanese developers are on the forefront of mobile games, in-app advertising and content development. We believe that our Chinese speaking subscriber base will embrace the quality content from an edgy Taiwanese provider,” said Mr. Ng. “This strategic alliance is of benefit to both parties as it increases content and geographic distribution,” he added. Leopard Mobile’s Founder, Mr. David Wu is positive on the collaboration possibilities with XOX, citing the strong acceptance of Taiwanese content among Malaysian Chinese mobile users, and the opportunities for Voopee in Taiwan. “Malaysia is an ideal market for Leopard Mobile, with a synergistic partner in XOX Mobile. There is huge potential to increase the subscribership for mobile applications and content,” said Mr. Wu.